The 2011 census results are out today and I will focus on the one solitary positive statistic that I gleaned from looking at the data. The majority of Wales is Welsh not British. After 800 years of colonial rule, after everything they have thrown at us we can still reject the notion that we are British or even the possibility that we are Welsh and British. The stats are available via this link under the heading 2011 Census: KS202EW National identity, unitary authorities in Wales. Next to that is the link to the spreadsheet, there is a very good and free office program available via my links page, that will allow you to open any of the spread sheets on the census page. Below we have the data from the chart, I have made it look a bit more presentable and also sorted the data from most 'Welsh not British' to the least 'Welsh not British'. I've also included the Welsh and British column, unfortunately there was no Welsh and Other (Chinese, Indian etc) only British and Other. Shame really as that would have been quite insightful. 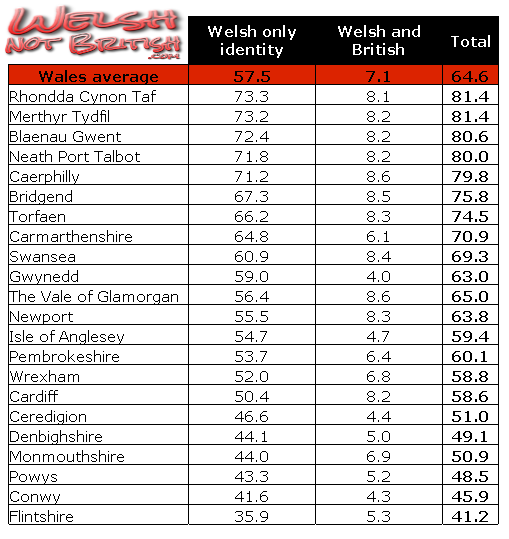 Apart from the fact that less that half the people in 4 of our 22 counties are Welsh the other most obvious thing that leaps out at me is that the counties that identify the most as being Welsh are some of the poorest areas, not just in Wales but in Europe. These areas are also your traditional Labour heart lands. Labour has failed these areas time and time again just as they have failed Wales time and time again. From what I have seen of the census data so far there are many open goals awaiting a party such as Plaid Cymru providing they are willing to go toe to toe with Labour and show the people how and why Labour continue to fail them. theres no question there is a growing sense of welsh identity among people in wales(especially among the welsh working class it would seem). Contrast these figures with the figures taken just prior to the devolution referendum of 1997. Then the proportions of people in wales who considered themselves welsh or british were almost even...now look at the figures. Mind you....I'm almost left with an open mouth regarding Ceredigion. What have they allowed to happen to Ceredigion where I live. ...and thank you for providing a beacon of hope today. Clutching at straws or what! I ray of light on an otherwise gloomy day of statistic reading, however, these pro Welsh not British figures will inevitably fall with the proposed transportation of families from the English inner cities to the working class areas such as Merthyr. English colonisation must be tackled now, Welsh politicians must wake up, grow some balls and realise it’s not racist to defend our national identity otherwise Cymru is finished as a nation. If we have the Welsh increasingly regarding themselves as Welsh not British, but also a growing minority of English immigrants, most of whom reject everything Welsh, then we are moving towards two separate communities and polarisation. 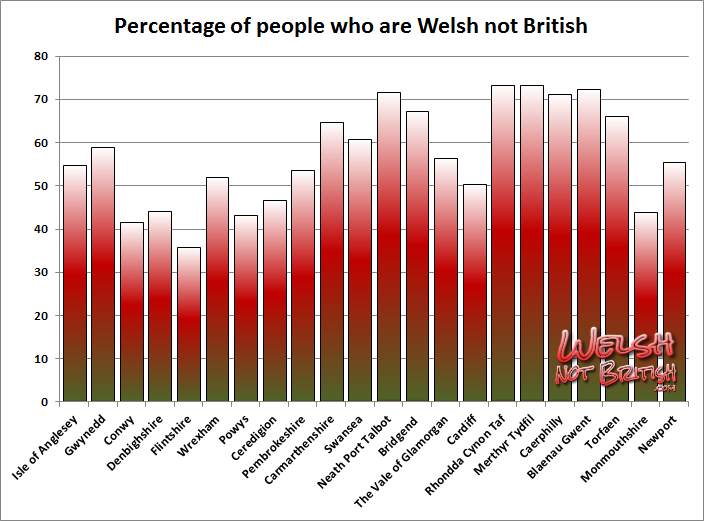 Stuart, according to these figures both the anglicised areas of Pembrokeshire & Wrexham have a higher percentage of people who consider themselves Welsh not British than Ceredigion. 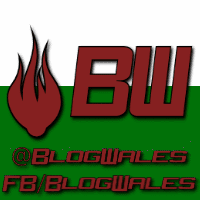 Is this post available in Welsh? Stu 18:12. If you want the people of the valleys to stop voting labour who do you suggest they vote for? Regarding British identity, have a look at John Major's take in 1993. "Fifty years on from now, Britain will still be the country of long shadows on cricket grounds, warm beer, invincible green suburbs, dog lovers and pools fillers and, as George Orwell said, 'Old maids bicycling to holy communion through the morning mist'." These are no doubt delightful images, but they are quintessentially English images. Click the 'follow' button below to stay updated via twitter. How do you solve a problem like Merthyr? Labour Unionist provokes criticism over Tweet and then complains . Congratulations Ben Lake, a step forward to an independent Wales! Untying the Montgomrese Knot. Wales' New Constituency Boundaries. Stick your email address in this box and you will be automatically emailed about new posts. I hope you enjoyed reading these articles as much as I enjoyed writing them.. Simple theme. Powered by Blogger.